A bowl of oatmeal with dried fruit and nuts. Oatmeal is an outstanding breakfast option thanks to its unique ingredients, whole-grain benefits and ability to fill you up. 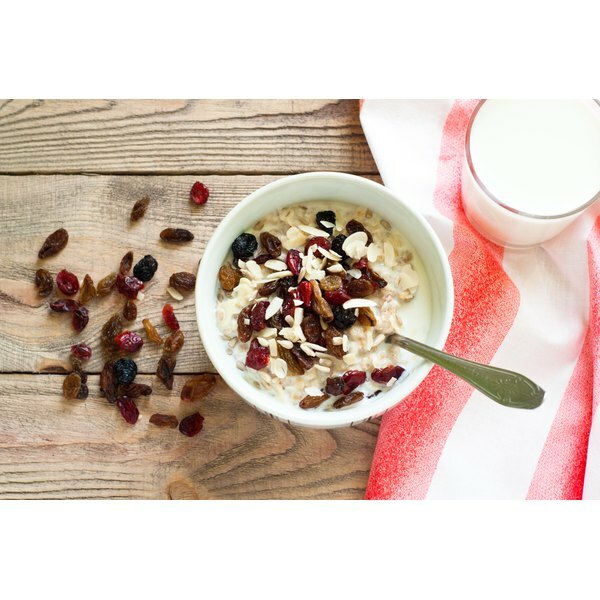 Specifically, the oat-only avenanthramide antioxidant and potent beta-glucan fiber combine to help lower cholesterol. Although oatmeal‘s health benefits are indisputable, flavor is another story. Stirring in extras like fresh fruit, cinnamon, peanut butter or yogurt can create tasty, new combinations while also increasing the nutritional value. Blueberries, strawberries, raspberries and acai berries fall into the super-food category. Adding berries to your oatmeal offers more than great flavor, it increases antioxidants, which have been shown to help prevent disease by killing cell-damaging free radicals. Berries' benefits also include heart-healthy fiber, beneficial carbohydrates and a host of vitamins and minerals. This boost to your oats adds some calories but brings you a step closer to consuming the recommended five to 10 servings of fruits and vegetables a day. Cinnamon naturally enhances taste and provides health rewards. Cinnamon is capable of stimulating the digestive, circulatory and respiratory systems and fortifies immune function to boot. Putting cinnamon in your oatmeal also does not alter fat and calories counts. Protein is imperative to creating a balanced meal. Ideally, you should consume one serving every time you eat. Blending natural peanut butter and oatmeal gives you that balance because it provides plenty of protein, good fats and dietary fiber. 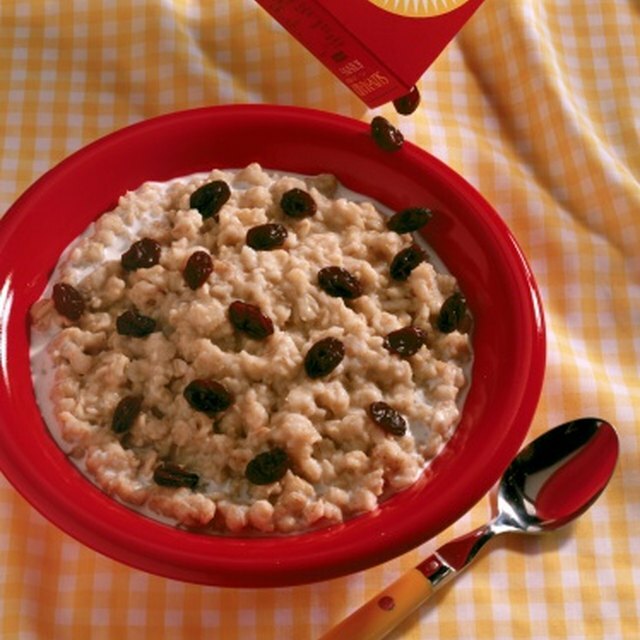 The calorie count of your oatmeal swells but the pluses may outweigh that fact. Apples contribute antioxidants and phenols along with vitamin C and fiber. They improve digestion assisting in the expulsion of cholesterol and help collagen development, a protein found in your joint’s connective tissues. Using one medium sized apple to flavor your oatmeal also raises your daily fruit consumption. Bananas deliver significant amounts of potassium. This mineral aids blood pressure regulation by upholding your fluid balance, a crucial factor in cardiac function. Mixing yogurt into your oatmeal creates a complete meal. Greek yogurt packs more of a punch than regular yogurt because it doubles the protein. It couples a creamier, thicker texture than the alternative without compromising the probiotics, live and active cultures for digestive health. It is available in multiple flavors or use plain and toss some of those berries in there, too.